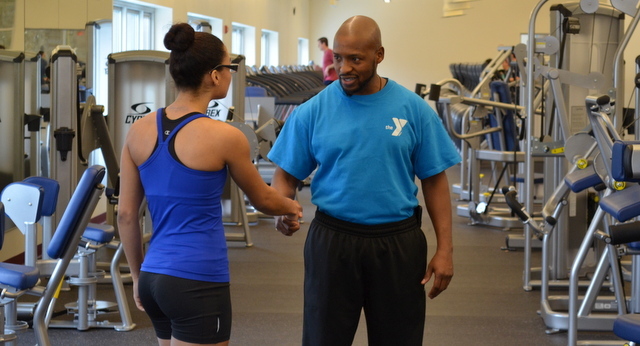 The assessment is the most important step in the certified personal trainers (CPT) new client-recruiting checklist as it provides an opportunity for the two parties involved to establish common ground. Finding this common ground is much like speed dating. The CPT has a limited amount of time to make a connection with the potential client and the client must believe that the CPT is the right fit for them. This can be challenging in such a limited time however, the key to a successful speed dating session (assessment) is establish one key component with the potential client. The key to meeting a new potential client for the first time is getting them to be comfortable enough with you to share some fairly personal information, all in about 15 minutes. This can be a challenging at times however; there are a few techniques that you can use to assist you in doing so. In this blog I’m going to provide you a few tips that will guide you in making a great first impression during your initial interview and assessment and allow you to leave your speed dating session with some digits! In many cases the potential client will be new to the world of personal training and, for that matter, the fitness industry all together. The majority of folks seeking CPTs these days are between the ages of 40 and 65 and have never worked with a trainer before. Because they are new to exercise and have not worked with a fitness professional before you need to focus on getting their guard down. A great way of getting your potential client to let their guard down is by asking them how often they currently exercise. Any answer they give will allow you to provide the proper response and immediately gives them something to talk about. The awkward silence in the beginning of a sit down session can be devastating during a speed dating session (assessment) as you only have so much time. This time is vital as you do not want to waste any of it by putting a potential client in an uncomfortable position. The primary thing to remember during the assessment that the time spent with the potential client needs to be totally focused on them. A quality assessment is like writing an article. You create the title (questions) and allow them to fill in the content (answers). Remember, it’s all about them. Let them talk and allow yourself to listen. Right away we empower the client by telling them we are proud of what they are currently doing and that they are ahead of where most people typically start. Then we get more detail by asking about their goals. In most cases, clients like this are driven and very dedicated but do not have an exercise program to follow. “Ok, and now you are ready to take things up a notch? That's great! Well, we can defiantly assist you in doing that! Can you tell me a little about your goals? What are you looking to accomplish? A positive energetic response that ensures the client that we are the right person for the job and we are up to the task of assisting them. Now we need to get more information about their goals, with that information we can ensure them even more of how we are going to solve their fitness related problem. “No problem at all, a lot of people come to me with that same answer. The important part is that you are here now and we are ready to move you forward toward accomplishing some goals. So what are you looking to accomplish? Some people want to feel better, some want to look better and some want to perform better. So which one(s) would you say you fall under? Empathize and let them know they are not alone, many others have come in just like them and they have been successful in accomplishing their goals. What are their goals? They may not even know. Fitness is so foreign to them that the only thing they know is that they need help. You may need to lead them a bit and help them find an answer. With that answer, we can start to ensure them as to how we are going to help them. Any potential client that has asked to meet with you has some sort of “problem.” Typical problems include: fat loss (most common), feeling better (second most common), looking better (third most common) and performing better (fourth most common). What ever their problem might be, you need to be the answer and you need to prove to our potential client that you know exactly how to fix their problem, all in about 15 minutes. This is where a personal story or experience with another client can be helpful. The first impression is extremely important and is the kick start to a successful relationship between a CPT and their “lifer” (long term) potential client. Much like speed-dating, you only have a short time to show that you are the solution, that you can be trusted and that you are extremely valuable and vital to their success. 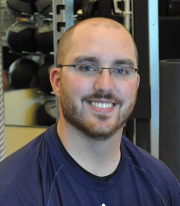 Robert Linkul is the National Strength & Conditioning Associations 2012 Personal Trainer of the Year and is the NSCA’s Southwest Regional Coordinator. Robert has his master's degree in personal training and is an NSCA-CPT and CSCS with distinction. Linkul is the “Career Development” instructor for the National Personal Training Institute (Sacramento) assisting students in creating their professional blueprint in which they will implement once they have officially become certified personal trainers. Robert leads more than 125 personal training sessions per week and is dedicates over 100 hours per year to developing his team of CPTs. Linkul writes for a number of fitness publications including PFP Magazine, Healthy Living Magazine, On Fitness Magazine and the NSCA Performance Journal. Linkul is a nationally accredited presenter for the NSCA and for Cybex, having presented at the NSCA’s Personal Trainer and National Conferences in 2012 and 2013.